Affinity Publisher for Mac is the latest software released by Serif. It is a desktop publishing program that hopes to steal the spotlight from InDesign, one of the market leaders. The software, available in beta, shows some of its features with the ability to create blocks and arrange them as desired. The interface is modern, dark but with tools organized in several categories. Several tutorials are already available on the publisher's website for those who want to discover all the possibilities offered by Affinity Publisher. Affinity Publisher's beta on Mac is available for anyone who wants it. It requires at least OS X 10.11 to run and is only available in English. A digital creation software, designed for amateur or experienced artists. Access many powerful creative tools and let your creativity express itself. 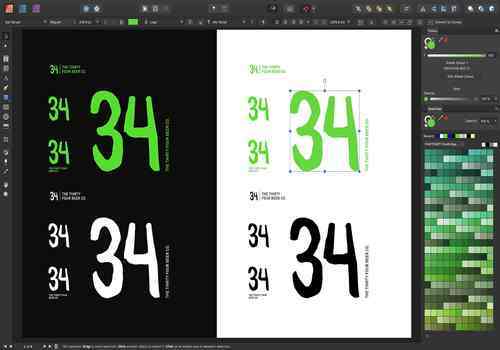 Affinity Designer is a software for Mac that allows you to do vectorial drawing and graphics. It is a professional tool that is praised for its performance and features. Sketch is a software for Mac that allows you to create designs. With its very elegant interface, you will be able to design logos, visuals or layouts to dress up your documents or projects.